It’s one of those things that you think will never happen to you, until it does. 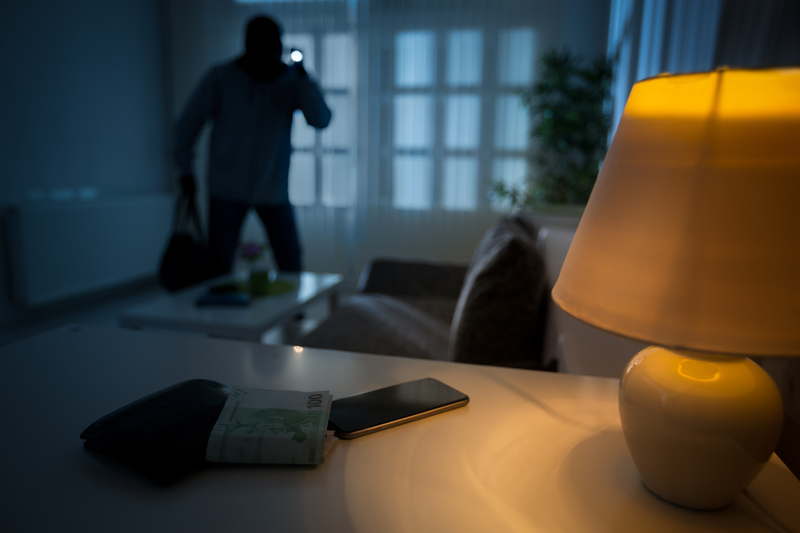 Having your home invaded by a stranger can be just as scary as it is damaging. Making sure you and your family feel safe at home should be a number one priority for everyone. From low budget to high tech, here are a number of ways to help you and your family stay happy and safe in the home that you love. Thorny bushes can do more than beautify your curb appeal. Prickly and thorny shrubs can do much more interesting tasks such as serving as a deterrent to window entries, collecting DNA from blood and skin, and taking samples of your would-be offender’s clothing and hair. Move over C.S.I. we’ve got R.O.S.E! With the increase in Security Alarm providers, it’s becoming more and more economical to provide your home with this extra line of security. For the best coverage, ask to have all the doors AND all the windows wired. Additionally, check to see what options they have for maintaining the system during power outages or if the landline is cut. Man’s best friend can be the ultimate in front line defense with the added bonus of having a friend keeping you company 24/7. 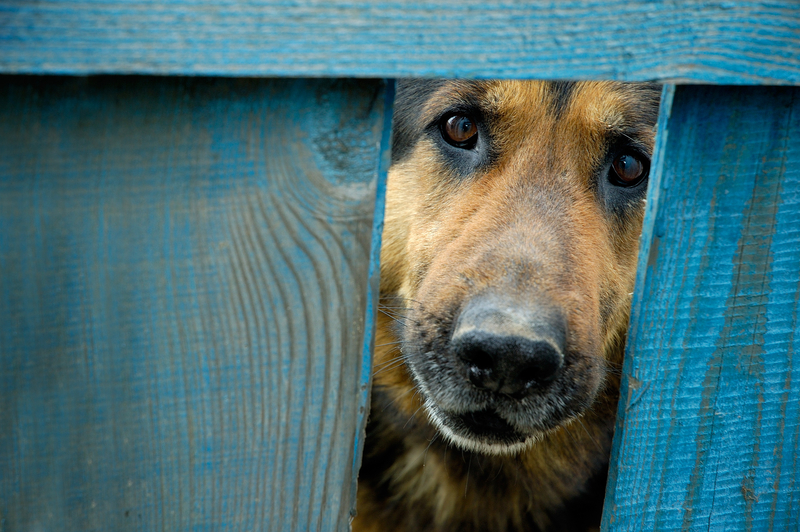 As a walking alarm and visual deterrent, potential home invaders scouting for targets will often skip houses they know have a dog. Adding a firearm to the home is a very important decision and should not be taken lightly. Putting aside the “Right to Bear Arms” for just a moment, if you choose to introduce a firearm into the home, take steps to ensure that each family member understands the seriousness of having one. This can involve everything from making sure your kids know it is not a toy to be shown off to their friends to knowing how to properly clean and store it when not in use. Special Note: Keeping you and your family safe within the confinement of your home is one thing, but what about personal information and privacy? Identity theft has become a major concern and most people aren’t prepared. You may be being targeted by identity thieves and scam artists right now. Many shooting ranges have Adult, Child and even Women’s safety and use classes designed to cater to each group. From pulling the trigger to taking it apart and cleaning it, these skills will help each person have a better understanding and respect of what owning a firearm means. Once you make the decision, become familiar with your area’s “Use of Force” laws. These differ by state, and not having a clear understanding of them can end up with devastating consequences if you must use your weapon in the home or in public. This does not have to be the elaborate space seen in movies designed to withstand a military coup. Keep it simple. Select a room with relatively easy to access from all areas of the home. Install a landline phone and supply the space with designated cell phone chargers, flashlights, basic food and water, and if you have one, a firearm. This would be a good location to keep your gun safe and extra ammo stored so in the event of a break-in, you don’t have to make a side trip on the way. Make sure the rooms entry doors are solid, not hollow, mount them so that the hinges swing out and a strong deadbolt is installed. Finally, if your designated safe area is on the second floor, keep a spare key to the front door attached to a glow stick handy. This way when the police arrive, if the front door is locked you can drop the key out a window and make it easy for them to locate it quickly in the dark. In conclusion, we all want to feel safe in our beds at night. Implementing these essential items will make a good’s night rest even easier to get.